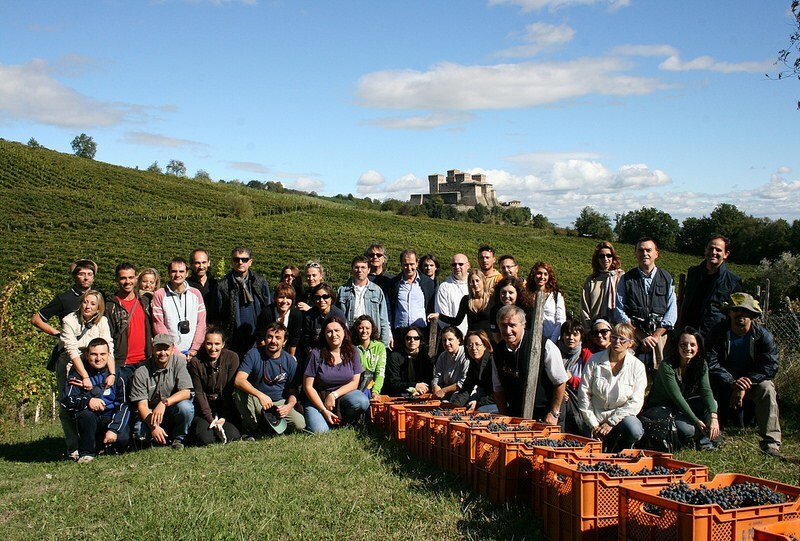 The team building and Vineyard activities have been organised to cover every period of the year. Open air activities are generally confirmed about 5 days beforehand after consideration of weather conditions; it is, however, possible to guarantee an alternative activity to take place indoors in case of bad weather. Other forms of hospitality can be suggested and evaluated to meet the needs of people who wish to experience and share in our world. I picked the grapes too ! From the end of August to the first half of October you too can take part in the most characteristic moment of the year : the grape harvest. Learning how to recognise the various types of wine grapes, you will take part in the harvest, demonstrating your manual skills. Amongst all the seasonal activities within the vineyard, vine pruning is the most delicate and important as only the well pruned vine will grow grapes. Guided by our professionals, you will learn the rudiments of this technique so that you can give proof of your newly acquired skill in the vineyard itself. I BOTTLED THIS ONE ! Once the work amongst the grape vines has finished, we begin the traditional rite of wine bottling according to long held custom. Everyone can show off and serve the wine that they themselves have bottled. Quite naturally, the label will be signed by the person responsible for bottling ! Tasting and personalised bottle of wine. 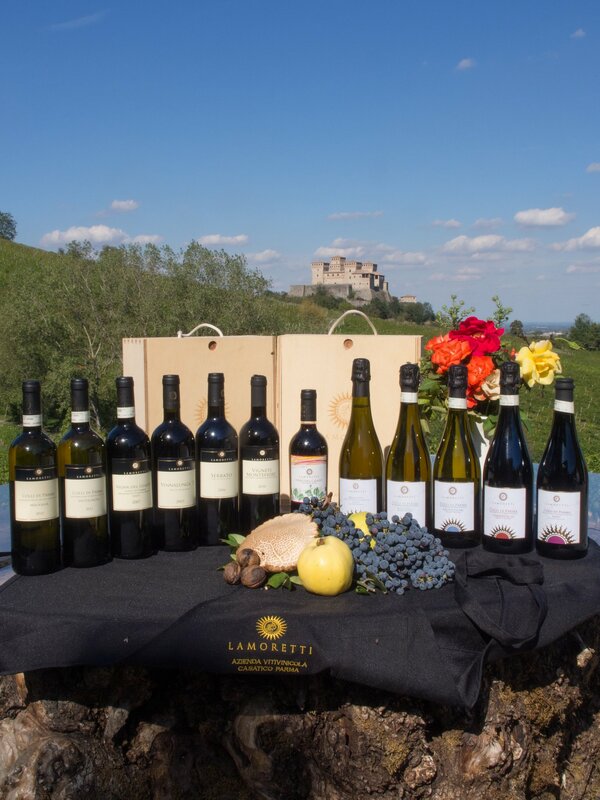 The vineyards, special places for picnics and country walks, are also an ideal background for Nordic Walking up and down the hills and through the immense green space dominated by the Castle of Torrechiara. Please book a place so that followed by our instructors you can ‘break a sweat’ amongst the grape vines and get your first level certificate in Nordic Walking. Hire your poles and enjoy a “sportsman’s snack”. 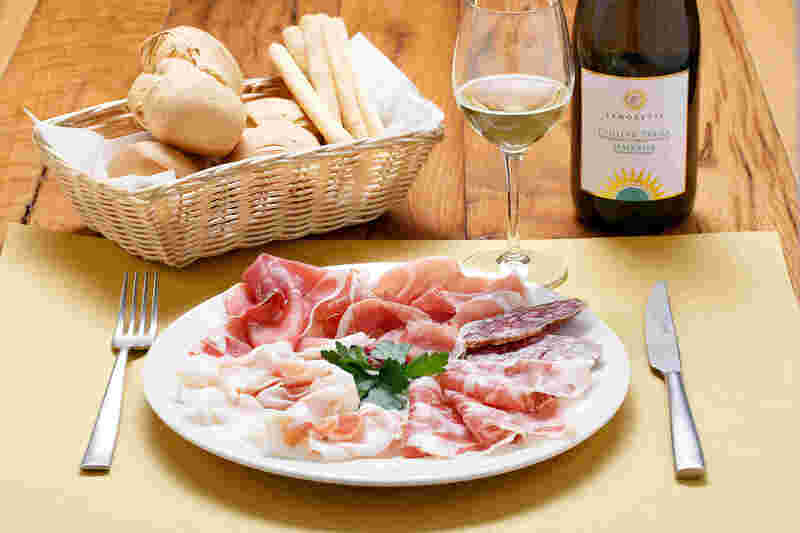 Comfortably sitting around a table, have fun by blind tasting our 12 wines or do the wine combination trial; every test is geared specifically to the requirements of the group. Every weekend throughout May and June come and stroll through the 54 acres of the vineyard stopping along your way to savour a traditional snack of excellent local products in a completely natural setting.